Diagnostic or therapeutic procedures are usually performed whenever indicated. The former include those patients found to have definite lesion such as mass or growth which need a biopsy for confirmatory diagnosis. 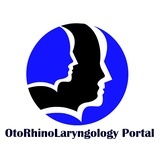 Other reasons include for proper microscopic evaluation of hidden vocal fold obscured by the epiglottis and intolerance to office examination especially amongs children. Therapeutic procedures are usually performed to correct and cure the abnormalities found on endoscopic evaluation e.g., vocal fold cyst, polyp, vocal process granuloma, early tumour growth or mass, and vocal fold palsy. These aims at improving the patient’s voice, alleviate laryngeal obstruction, or improving swallowing by minimizing risk of aspiration. In many cases, it serves both functions and offers tremendous benefit for the patient.